Summer weather this month has been perfect for cooking and eating outside, so I decided to extend this July theme week. Today marked Day #10 of Chocolate and Backyard Barbeque and Bacon Theme Week. My breakfast this morning was the Bacon Bits bar from zotter (Austria). 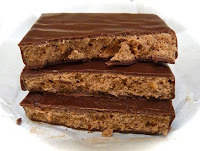 Made with 70% cacao organic and fair trade chocolate, the bar was filled with a relatively smooth and sweet hazelnut nougat with "bacon crackling" center. The bacon flavor, or any salt/savory flavor, was very subtle. A smidge more salt or smokey flavor might have toned down the sweetness of this filling. 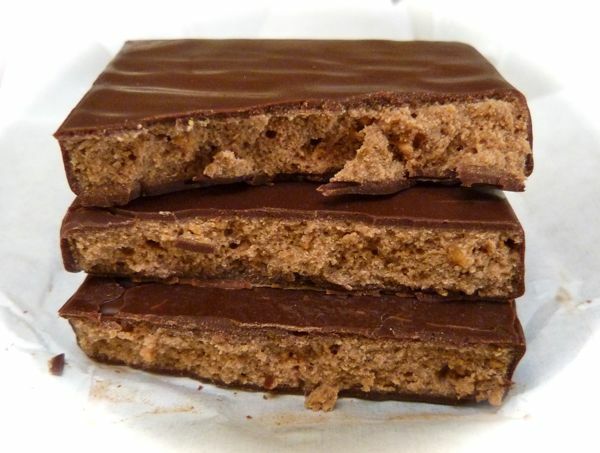 I admit, however, not everyone shares my preference for bars for less sugar. So this bacon bar may be fine just the way it is for most people. 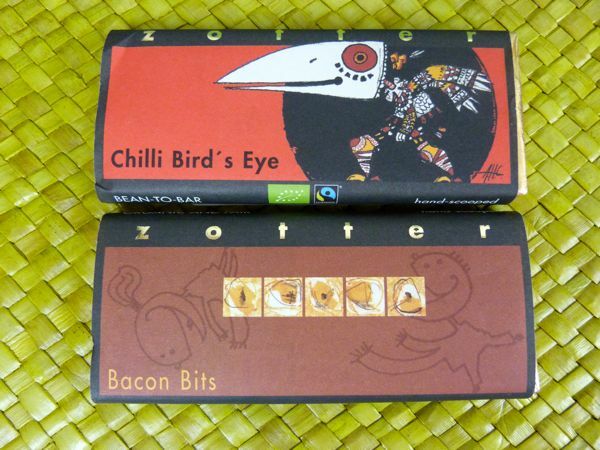 Later this month, I plan on pairing zotter's Chilli Bird's Eye bar (pictured above right with Bacon Bits bar), perhaps with a barbeque item. Until then, I enjoyed a Vietnamese-style BBQ Beef Rice Plate from Joy Hing BBQ Noodle in San Francisco, CA, with some garlic broccoli and a Thai iced tea. I sat by the door, to enjoy sunshine and a warm, gentle breeze from outside. This wasn't technically a backyard barbeque, but it was close.